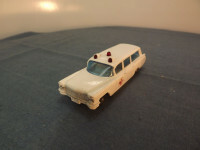 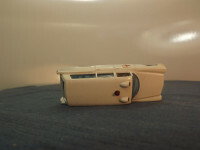 This model is the Matchbox 54-b-3 Cadillac SS Ambulance in white. The ambulance has the small labels, Rear axle platform, long rivet socket, and white interior. 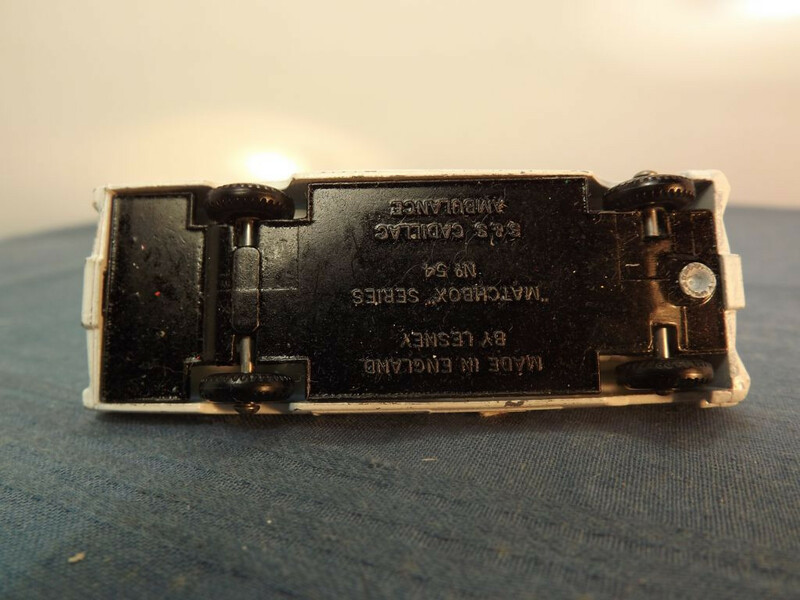 Base Details: Base has 6 lines of text at right angles to the axles: "Made In, England, By Lesney" on two lines at the centre top, "Matchbox Series, No. 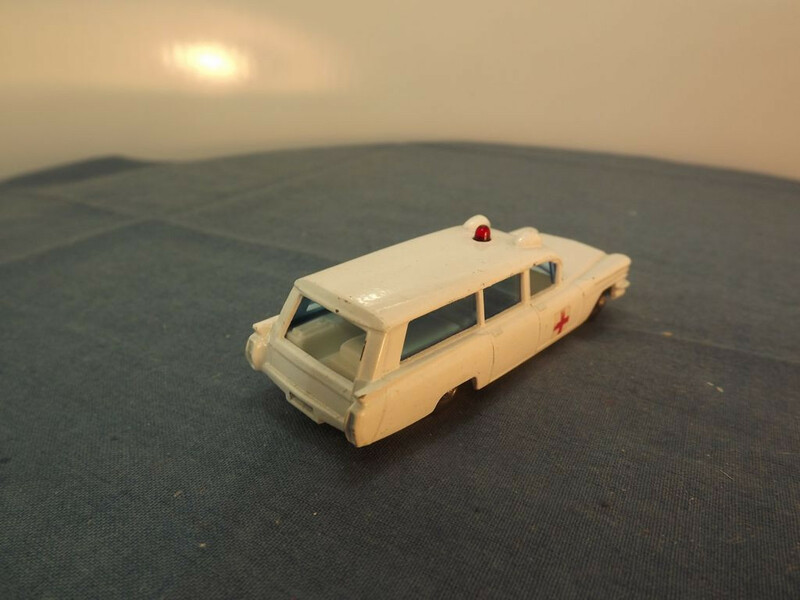 54" on two lines at the centre middle, and "S&S Cadillac Ambulance" on two lines at the centre bottom. 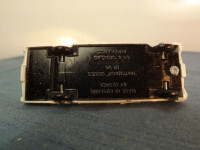 Base Fitting: One machined rivet and one body locating lug.